Fire TV Stick with Alexa Voice Remote | Streaming Media Player. 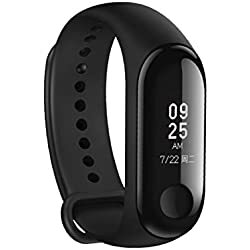 Xiaomi Mi Band 3 Fitness Tracker 0.78 OLED Display Heart Rate Monitor 50M Water-Resistant Bracelet Pedometer Activity Tracker Weather Forecast Smart Reminder for iPhone, Android phones. This is cool Techy Must have accessory gadget. Usable in day to day life for men. This is must have product, very helpful while you are driving alone or going for long drive, This emergency tool kit will feel you safe and keep you on the move in most of situations.